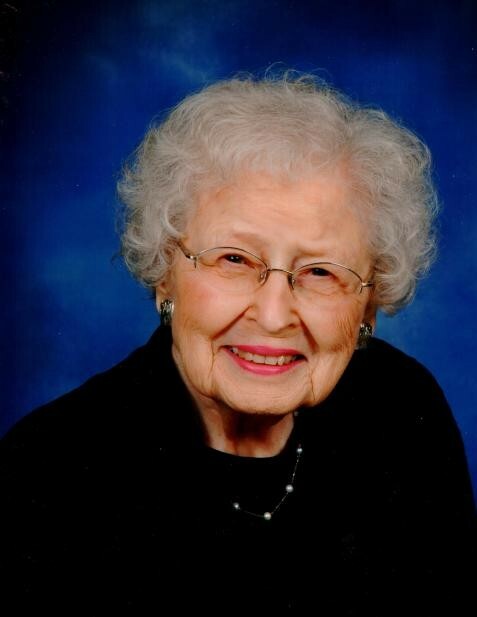 Obituary for Dorothy Rose (Tillwach) Borger | Hartzler-Gutermuth-Inman Funeral Home Inc.
On Thursday, January 24, 2019 Dorothy Rose Borger, loving mother, grand and great grandmother, passed away in Elkhart at age 94. Dorothy was born February 27, 1924 to Joseph and Agnes Tillwach in Chicago, Illinois. The family moved to Elkhart in 1927 where they became lifelong residents and active community members. Dorothy attended St. Vincent de Paul school and graduated from Elkhart High School. She was a member of the school’s chapter of the National Honor Society. She married Edward R. Borger June 29, 1946 and shared 58 loving years together until his death in 2004. Before her marriage to Ed, Dorothy worked as a secretary in the offices of the Superintendent for Elkhart Community Schools. She was a member of the Epsilon chapter, Delta Chi Sigma sorority and served as president of the Business Girls’ club of the YWCA. She returned to work after their children were grown. She served as the administrative assistant to the director of Horizon Learning Center, retiring in 1986. Dorothy and Ed raised four children. Thomas, who died in 2017 (survived by his wife Liz Naquin Borger) of Elkhart, Kate Borger Wall (Steve) of Altadena, CA, Ruth Gizinski (Don) of Canton, GA and James (Ruth Anne) of Gainesville, FL. She is also survived by 6 grandchildren, Thomas, Sara, Brian, Elise, Mary Beth, Isabelle and 12 Great grandchildren, Kalyn, Lauren, Oliver, Molly, Charlotte, Finnegan, Norah, Beckett, Fritz, Benjamin, Jack and Margot. She is also survived by her beloved sister Dolores Spry of Elkhart, nephew James Spry (Sabrina), and nieces Jane Reda and Judy Harrison. Visitation will be held on Sunday, January 27, 2019 from 2:00 PM to 5:00 PM at Hartzler-Gutermuth-Inman Funeral Home where the Holy Rosary will be recited at 4:30 PM. Mass of Christian Burial will be held on Monday, January 28, 2019 at 10:00 AM at St. Thomas the Apostle Church with Rev. Jason Freiburger. Burial will be in St. Vincent Cemetery. or St Thomas the Apostle Church, 1331 N. Main Street, Elkhart, IN 46514.